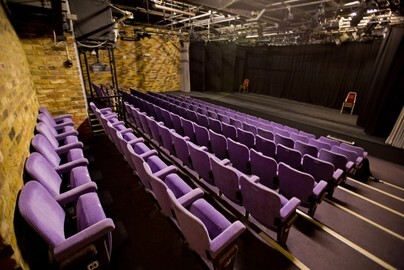 ​Please note: The Pump House Theatre does not run its own box office. Your booking is handled directly by Belmont Theatre Box Office or by Ticketsource. Start times: Wed - Sat evenings 7.45 pm + Saturday Matinee at 2.45 pm. Conveniently book and pay ​on-line NOW. or select another booking method below. Please note if paying by card please do this online ONLY. We are unable to take card details over the telephone. 1) Book securely online by major Credit/Debit Cards through Ticketsource. No need to spend time and money on phoning and postage. With Ticketsource you can view the seating plan, pick your seats, book and pay securely online and receive your tickets to your inbox or phone by clicking the BOOK NOW TICKETSOURCE button. We find most people now book via this popular and convenient method which is available to you all day every day. A fee of £1 per ticket applies to payment by card to help towards the costs of this facility. Please note the box office address which can change from show to show. Important: Tickets are subject to availability and are non-refundable other than in the event that the show is cancelled. The auditorium operates reserved seating throughout. Admission is by ticket or e-ticket. Payment is required prior to admission and reservations are not binding until paid in full. The Management reserves the right to reasonably refuse admission.You agree to this when purchasing a ticket. Not yet on our mailing list? Find out about our shows in good time. Ask to receive our free occasional audience newsletter for future shows by subscribing below. Below - The Pump House 're-surfaced' car park. Nearest Train Stations: Watford High Street and Bushey stations are within walking distance of the Theatre. Buses: 258 (from Harrow) and 142 (from Stanmore) stop close to Local Board Road. ​as they normally finish around 10.15 pm. Please do not park in the Retail Park for the 2.45 pm Saturday Matinee when Football is on in Watford. Important: We accept no responsibility for this information so please read the signs in the Century Retail Car Park in case anything has changed. Century Retail Park is at: Lower High Street Watford, WD17 2SF (accessible by car from Dalton Way).